What's the Deal With Differentials? 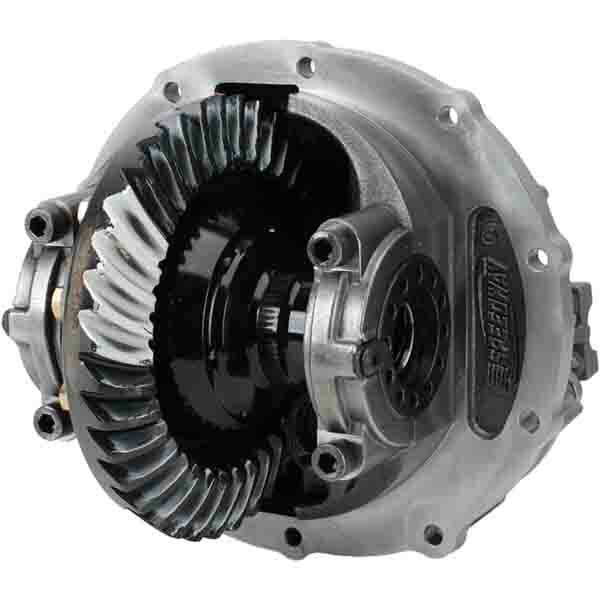 The Ford 9˝ differential is one of the most widely used differentials in hot rod, street rod and 4×4 vehicles. The Ford 9˝ differential was put into production beginning in the late 1950s, and remained in production up until the mid 1980s. They can be found underneath such Ford models as the Ford Bronco, Ford Mustang and the Ford F-150, and are well known for their durability. The Ford 9˝ differential is most easily identified by its rounded housing (compared to the more oblong Ford 8˝ rear end) with later model Ford 9˝ differentials built after 1966 featuring a distinctive “hump” in the center of the rear cover. With their huge popularity come plenty of opportunities to gain some new customers and better serve the engine customers you already have. The turnaround time for rebuilding a 9˝ Ford is quick, parts are readily available, and machine work is not a problem…and your customer will feel confident in you completing his 9˝ Ford rebuild because he already has a working relationship with you. 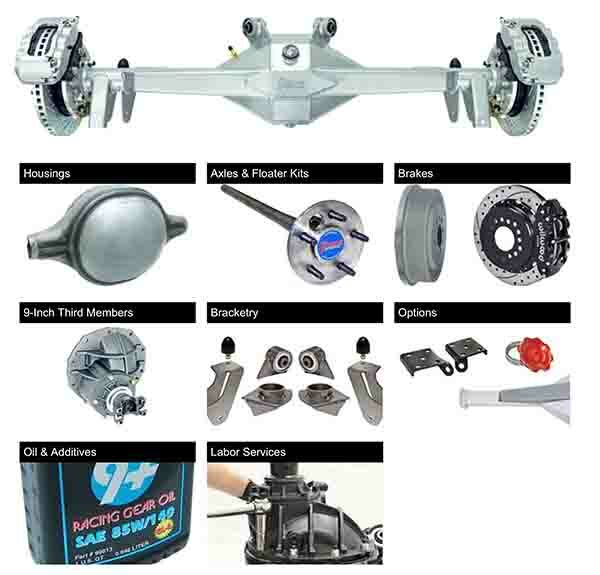 You might also attract a new 9” Ford differential customer who could bring you his next engine rebuild project, because he now knows you and also has experience working with your shop. He knows what to expect from you and he will feel confident in bringing you a bigger project. The Ford 9˝ differential has a stamped housing with axle tubes welded on each end. What sets the Ford 9˝ apart from other high performance and heavy duty solid axles is that access to the differential gears is not through the rear center cover (which is welded to the axle housing), but through the center cover on the pinion side of the axle where the drive shaft connects. In a Ford 9˝ differential, swapping gear sets is easier than with most differentials due in part to the third member assembly being removed from the front. Currie Enterprises occupies a 40,000 square foot complex in Corona, CA. Currie Enterprises can provide parts, service, technical information, as well as complete custom-built Ford 9” differentials for a number of specialty applications. www.currieenterprises.com. A Ford 9˝ also makes axles easy to install or remove as Ford designed the axle to slide out the front of the axle housing by removing the four bolts located on the end of the axle flange. This is a huge advantage when rebuilding this rear end as the ring gear assemble can be assembled and calibrated on the bench instead of having to do it in the rear end housing. You can literally assemble and calibrate the entire third member assembly on the bench then install it in the differential housing as a complete assembly. Setting backlash and adjusting shims is much easier and more accurate when it can be done on a bench with good lighting. An added strength advantage of the Ford 9˝ differential is the design of the internal rear-pinion support that limits gear deflection under high torque loads. Ford also improved tooth contact in the Ford 9˝ by locating its pinion gear slightly lower on the ring gear. This strengthens the rear end assembly but results in a minor loss of power to drive the gears. 9-inch Ford differential in detail. 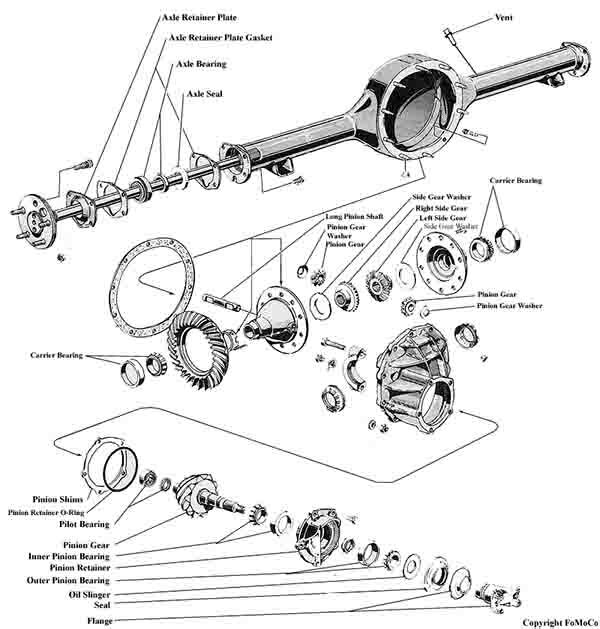 The Ford 9˝ differentials were produced with both 28 and 31 spline axles. Even in their smallest form, they are larger in diameter than 10-bolt Chevrolet differentials and have proved to be significantly stronger than the 10 and 12-bolt Chevrolet differentials, which use the smaller 8-1/2˝ and 8-7/8˝ diameter ring gears, respectively. The Ford 9˝ differentials were manufactured in seven different housing widths, from 57-1/4˝ to 69-1/4˝ wide. 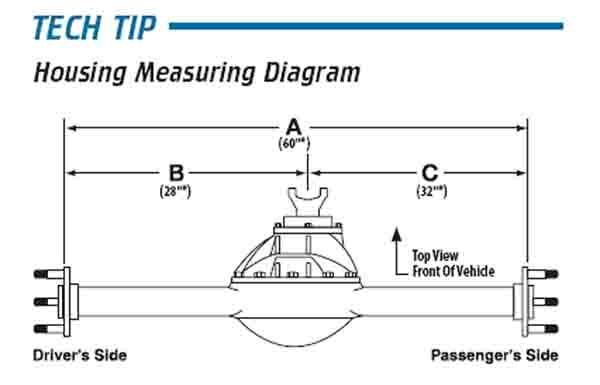 You can determine housing width by measuring the distance between the axle flanges located on the outward end of each axle tube. The long time popularity of the 9˝ Ford differentials has resulted in the aftermarket producing a wealth of replacement and upgrade parts including those for racing applications. Complete housings, carriers, spools, mini-spools, axles, housing ends, bearing and shim kits, pinion supports and yokes are all available from aftermarket manufacturers. Spools and yokes are available in traditional steel, as well as in lightweight aluminum, and heavy, duty titanium for extreme applications. A spool delivers the same amount of power to both wheels, unlike positive traction units that can be inconsistent. A spool is also lighter, simpler and more durable because parts prone to breakage, like the posi-traction unit, cross pin, spider and axle gears are eliminated. How do you know what you’re looking at? The application number, which begins with the W on line one and in format of Wxx-x, etc. – can be referenced in ID manuals to identify the original vehicle type installed in. The gear ratio, generally starting on the second line, is followed by the date code, in most cases. There is also a mini-spool available, which is a special unit that inserts inside the existing carrier to replace the spider and axle gears, effectively “locking” the rear end like a traditional spool. A mini-spool is also a much safer and more reliable way to “lock” the rear end than the age, old method of welding the spider gears. Some aftermarket 9˝ ring gear sets interfere with the area of the case where the pinion pilot bearing is located. Rather than grinding on the housing, the ring gear should be carefully chamfered using a small die grinder to provide adequate clearance. Grinding on the rear end housing will weaken the housing. Many higher end gear sets will come with a beveled edge on the backside of the ring gear to eliminate the clearance issue. Rear axle tags on a housing can aid in identifying what is inside the differential for gears, splines, etc. 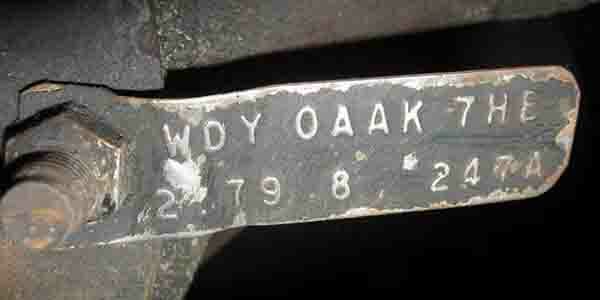 Ford has changed the tag slightly over the years, but generally the application number, which begins with the W on line one and in format of Wxx-x, etc. – can be referenced in ID manuals to identify the original vehicle type installed in. The gear ratio, generally starting on the second line, is followed by the date code, in most cases. If the unit is a locking type, the gear ratio will have an “L” after the first digit and before the final two digits perch. Tags are generally found attached to the passenger side of carrier assembly secured by one of the nuts on the housing studs. The Ford 9˝ differentials were manufactured in seven different housing widths, from 57-1/4˝ to 69-1/4˝ wide. Now that you have the basics, you should be able to properly identify a Ford 9˝ differential. The next step is the rebuilding service. 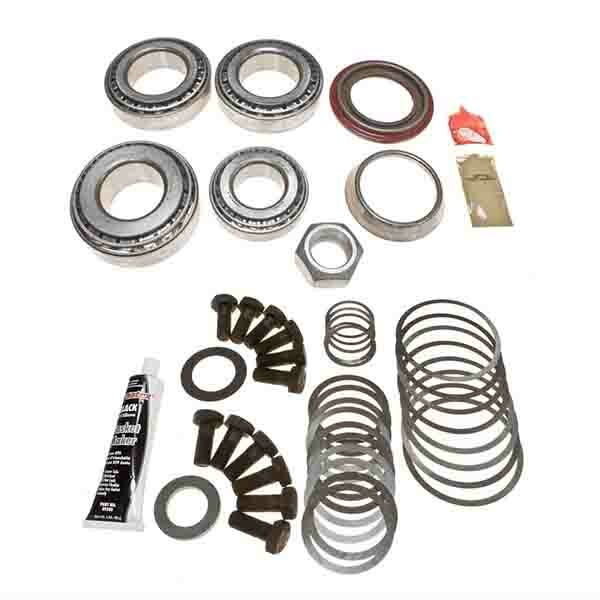 Most of the tools needed to rebuild or upgrade a Ford 9˝ differential you should already have in your shop. Any specialty tools are available from dozens of aftermarket companies. 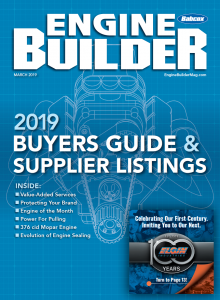 Look for additional technical articles on other popular differentials in upcoming issues of Engine Builder.